These days are open to everyone from beginners to experienced photographers. 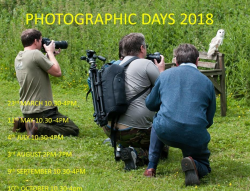 It is a hands on day (with your camera, not the birds of course) where you can get up close and personal with the birds in our portrait session. The birds are set in various locations where you can photograph them from all different angles. If you want to take any unusual or specific shots we will do our best to accommodate you. Having spent time photographing the birds sitting still, we then move onto the more challenging task of photographing them in flight. 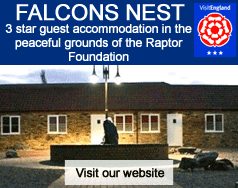 We will fly a selection of birds including owls, hawks, eagles and falcons, this will give you a wide range of flying techniques, starting with the slowest and finishing with the fastest.